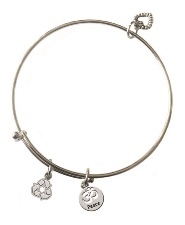 Wear this recycled bangle as a reminder to be peaceful, centered, open-hearted and kind. Om represents the sacred in all creation. The goodness you do for others can circle back to bring you a multitude of eternal happiness and good luck.